Leadership is like a business: it's not born out of nothing. At SkyPlanner, Miami’s premier Salesforce consulting company, we are always striving to become industry leaders when it comes to helping client get the most out of their Salesforce implementations. The following post reflects on insights about becoming better leaders that we’ve come across as we continually strive for improvement. “What makes a great leader,” with the keyword in that question being “makes.” That’s right. This post from SkyPlanner, Miami’s premier Salesforce consulting company, deals with leaders when they’re created by choice of the person because he or she wants to be a leader. Security – a leader must make his or her followers feel safe or at least optimistic that security is possible. Success – People desire a sense of achievement but most aren’t able to do so on their own. A leader has to be able to motivate people to strive for success. Cooperation – A leader must bring people together even in times where there is dissension in the ranks. Nurturing – Not everyone in a group is going to feel at their best at all times. Leadership means making people feel good even when they’re at their worst. Creativity – Since leaders are generally viewed as the strategists of a group, he or she must exhibit a sense of creativity or innovation. Morality – Bottom line: a leader’s values greatly influences the values of everyone that follows him or her. 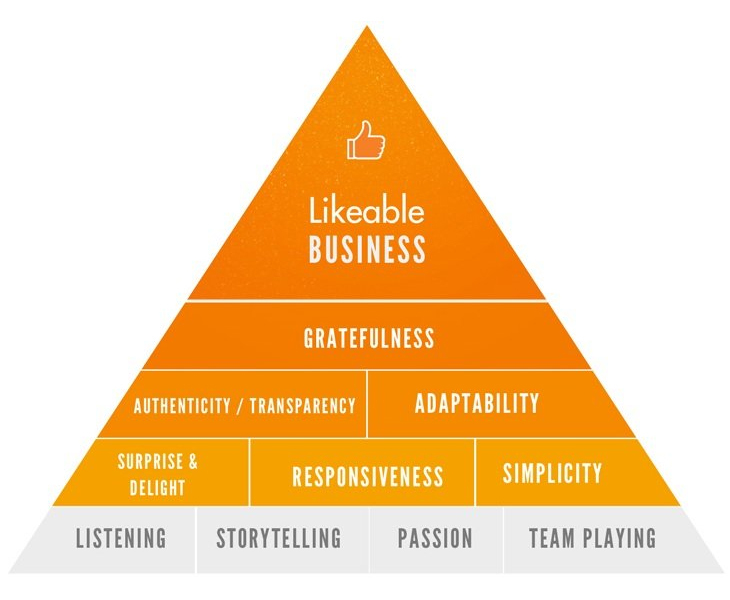 Dave Kerpen, best-selling author and CEO of Likeable Local, created the pyramid below to show how the above traits lead to a business that is well received by the masses. While the prospect of being a leader can be daunting, SkyPlanner has determined that it is very do-able with work, and it is necessary if some wishes to be an entrepreneur. And we're here to help whoever wishes to take that step towards becoming a leader by providing our services to making his or her business as successful as possible. It's SkyPlanner Parachute Monday! Find out what we at SkyPlanner, Miami's premier Salesforce consulting company, have been reading, watching, listening to, and learning from in the past week. Click on each link to view our curated content. If your business is like SkyPlanner you probably don't have much time during the day to read or watch many educational materials to improve your business and yourself. That's why just like SkyPlanner can customize your Salesforce applications to make your business run better, podcasts can help you pack that little extra bit of improvement into your day. Here's a list of ten podcasts that will get you motivated whether you're an entrepreneur just starting out or a seasoned business owner. When you do have a couple of minutes to spare here is a video by entrepreneur and author Seth Godin about how failures should not be looked as disasters but instead as opportunities to get better. (bonus: you can also treat the video as a "podcast" if you start it and leave it on in the background while you work). 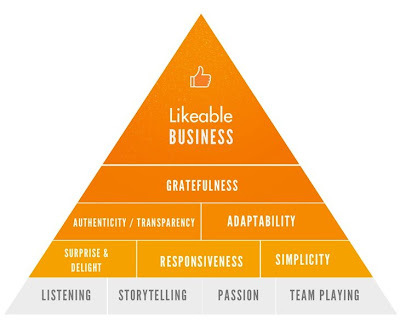 What makes a great business? Great leadership. This LinkedIn post by Shane Snow, CCO of Contently, offers insight into how the most effective leaders are the ones who aren't afraid to go against the traditional idea of what a leader should be. Everything today has to be mobile and that's why SkyPlanner is as comfortable in the mobile space as we are customizing Salesforce applications. Salesforce's Laura Fagan whipped up a quick checklist that every business should make sure to fill before letting its apps go live. We end this week's SkyPlanner Parachute with a very informative infographic that lays out the evolution of sales from soapbox salesmen to how today's salesperson has to deal with a much more informed public that is a quick Google search away from knowing whether they're being told the truth. You've worked hard to build your brand's image. These are some things that can kill it. As Miami’s premier Salesforce consulting company, SkyPlanner's focus is on helping businesses improve how they conduct business. The third and final part of SkyPlanner’s three-part series on branding deals with incidents that could negatively affect a brand’s image. Before the advent of all-day news networks and social media it would take a monumental disaster such as the Exxon Valdez to make people wonder about how they previously perceived a brand. These days a single word uttered in privacy or a private donation can cause an uproar that can tarnish years of positive brand equity. 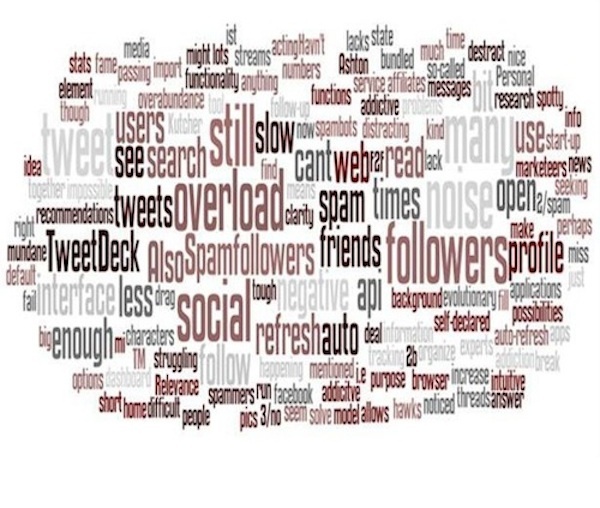 This post from SkyPlanner, Miami’s premier Salesforce consulting company, outlines different ways a brand can damage itself. business experts. 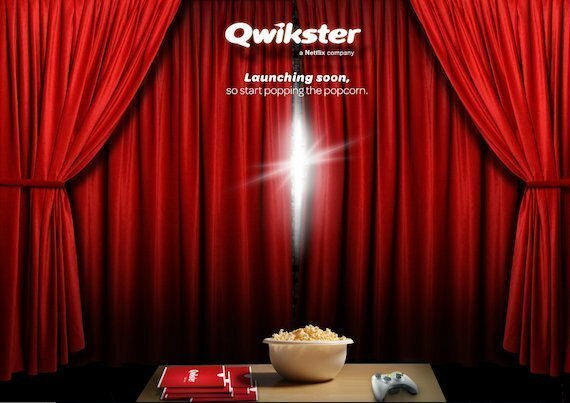 A prime example of this was Netflix’s decision to alter its business model in 2011 when the company announced that it would split off its DVD-rental service into a separate entity called Qwikster and, at the same time, raise prices. Netflix had built its loyal customer base on a sole brand and cheap subscription prices so when it seemed like the company was trying to gouge subscribers it was immediately attacked. Then customers threatened to leave the company in droves. Almost as quickly as it announced the new plans, the company had to reverse course and announce it would keep its service in its original form. 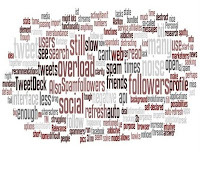 company’s founder or a celebrity sponsor, and that person’s personal problems affect the brand. 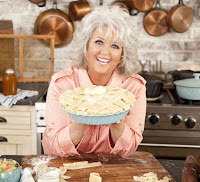 Paula Deen, who created a cooking empire with her Southern charm, and her well-publicized fall from grace caused by a derogatory comment is the latest example of personal problems affecting a brand. Almost as soon as news of the incident broke she lost her television show, her book deals, and many of her endorsement deals. While a scandal may not necessarily result in lost brand equity- most of Tiger Wood’s sponsors continued their association with the golfer despite his infidelity- Deen is somber reminder of how fragile a brand’s image can be. one side of a divisive issue, which can result in a PR nightmare because those who favor the opposite side will usually bring attention to it. Chick-fil-A, known for its Christian leanings, became the center of a national debate when it came to light that the company donated money to organizations that were pro-traditional marriage. While it is, of course, the right of a company to do what it pleases with its earnings and will get support from like-minded people, it must be aware that there will be a vocal segment of the opposing view that will make it into a scandal. And it is up to the company’s leadership to determine whether their stance is worth the potential scandal. SkyPlanner hopes you have enjoyed our three part series on what brand image means to your company, how to develop a brand strategy, and threats that can kill brand equity. SkyPlanner knows that as a young company our image is everything. And that’s why take care to give every client a professional yet personal touch in everything that we do for them. SkyPlanner, Miami's premier Salesforce consulting company, presents the SkyPlanner Parachute. A little tip from the guys at Five Guys about how the perception of added benefits is just as effective as actually adding benefits. Networking is the lifeblood of a small business. This set of infographics is ripe with networking ideas, including some you might never have thought of. It's not uncommon for people to brag about how little sleep they get because of work. Arianna Huffington challenges the notion that lack of sleep signals success in this Ted Talk at the 2010 TED Women conference. Knowing the modern customer is a key to success. Salesforce lays out five characteristics that a business needs to know about who they're selling to. Knowing your customer is key but so is knowing who you have selling to them. This whimsical infographic plans out how to tell your best salespeople from the lowest tier salespeople, and how to motivate them all.